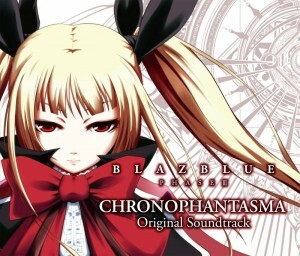 BlazBlue: ChronoPhantasma is the third game in the BlazBlue series, and showcases a primarily remixed/reimagined soundtrack by esteemed Guilty Gear composer Daisuke Ishiwatari. If you’re at all familiar with Ishiwatari or BlazBlue, you already know what to expect here: heavy metal and hard rock influenced instrumental music bolstered by Western classical ornamentation. 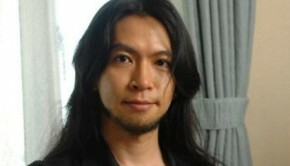 In fact, not only does ChronoPhantasma invoke Ishiwatari’s unique compositional style, the OST is primarily comprised of remixed/reimagined themes and motifs by YUHKI, Norichika Sato, Masaki Suzuki, and Ishiwatari himself. The result is an album that is almost entirely an improvement upon the original Calamity Trigger, but that is also limited to previously defined constraints. Disc 1 opens with “CHRONOPHANTASMA,” the Arcade version’s intro/title track. As you’d expect, it’s composed and arranged in the now classic Ishiwatari style: the neoclassical harmonic minor mode is invoked via strings and harpsichord before crashing into rock instrumentation that features twin guitars, a drumset, layered keyboards, and bass. “Rebellion II” should be familiar to BlazBlue fans as Ragna the Bloodedge’s theme, heavy with doubled guitar parts and the familiar choppy riff first established in Calamity Trigger. The melody is somewhat buried in the mix, which puts riffing and percussion at the forefront alongside a drawbar organ sound, giving the track a very full, layered sound where no single instrument stands out. Where “Rebellion II” stands out is its middle section, which features extensive soloing by the entire band leading up to the original track’s excited descending-pattern arpeggio refrain. Next we have, of course, a remix of Jin Kisaragi’s theme, “Lust SIN II.” Like the original (and spiritual predecessor Ky Kiske’s theme), the track begins with a more traditional neoclassical invocation via piano and strings. When the electric piano enters, the rock half of the instrumentation picks up the slack and energy. Naturally, Noel Vermillion’s theme is next with “Bullet Dance II.” Like the previous track, it opens with a reprise of Noel’s original theme, a hopeful-sounding melody on guitar that fills the space between the major melodic notes with scalar runs and shred filigree. In fact, the guitar pyrotechnics in this track are particularly impressive and unrelenting. Rachel Alucard’s “Queen of Rose II” is next, also beginning with throwbacks to the original track via a synthetic choir before launching into the heavier, violin-centric theme of this character. The major change/addition here is the modular solo section in the middle of the piece, which distinctly features a continuum-style keyboard solo. Track six is the revised “Catus Carnival II” (Taokaka’s theme), which spruces up the original harmonization via heavier guitar and keyboard presence atop the original’s florid, legato violin melodies. “MOTOR HEAD II” (Iron Tager’s theme) again features the bass guitar (not unsurprisingly, similar to Potemkin’s theme, the “big” character from Guilty Gear.) Like the remix of Ragna’s theme, this one pushes the melody into the background a bit in favor of additional keyboard and vocal parts, which adds some dynamicism. “Oriental Flower II” (Litchi Faye Ling’s theme) also receives a fattening up treatment, with additional layered instrumentation and some reharmonization acting to reinvigorate the original melody, and blistering solo sections now gracing the track’s midpoint. “Thin RED Line II” (Arakune’s theme) is treated to a subversion of the melody’s original verse/chorus structure via a rambunctious organ and, later in the track, the addition of a background choir section. A reprise of Bang Shishigami’s theme, “Gale II,” marks track 10. This piece maintains the optimism and power metal leanings of the original while adding a treble, doubling keyboard part to the verse. The violin also takes center stage (and a solo) later in the track, with each instrument enjoying a bit more freedom overall in this version. “Marionette Purple II” (Carl Clover’s theme) continues the theme of strings and drawbar, though it eventually passes the verse melody from violin to guitar. The real reward here comes later in the track during an arpeggio and bass ostinato heavy breakdown that allows the violin and guitar to both take solos. With “SUSANOOH II” (Hakumen’s theme), the original’s oriental timbre is preserved and woven into the metal instrumentation. Tsubaki Yayoi’s “Condemnation Wings II” stands out as one of the better remixes so far, maintaining the tension and sparse melody/arpeggio of the original track’s introduction but upping the volumetric ante. The excitement and melodic forefront continue in “Gluttony Fang II” (Hazama’s theme), which introduces jazzy seventh chords and a slick piano intro before amping the tempo and instrumentation back up. The piano is featured heavily here, and is given lots of freedom in the middle of the piece, especially during the walking bass section. Track 15, “Sword of Doom II” (Mu-No. 12’s theme) is the first to feature real vocals and lyrics (by vocalist Fuki). The up-tempo piece of course doesn’t relent via metal instrumentation and chugging guitars, but the addition of authentic vocals is a nice change of pace. “Alexandrite II” (Makoto Nanaya’s theme) returns to the shredding, bombastic keyboards of the rest of disc one, while “Howling Moon II” (Valkenhayn R. Hellsing’s theme) really leans into the neoclassical style, memorable riffs, and technical trade-offs between guitar and organ soloing throughout the latter quarter of the piece. The final track of disc one, “Active Angel II” (Platinum the Trinity’s theme), deftly captures the hopeful excitement of the original composition and melody while (as is now the custom) leaving space for sparser interpretation and excited solo’ing. Disc 2 begins with “Plastic Night II” (Relius Clover’s theme), providing a riff-and-organ heavy landscape for crying guitar melodies and treble-friendly cymbals, but leaning into some serious violin about halfway through. The next track “BUSIN” (Amane Nishiki’s theme) changes things up with an overtly oriental flavor, including a shamisen sound, that barrels into heavier orchestration after an enjoyable refrain. Next, “Spirit of Fire” (Bullet’s theme) enjoys interesting modulations and jazzy piano/chord vamping, while “The Tyrant” (Azrael’s theme) takes a sinister and almost achromatic approach via crunching riffs in half time and “Justice Sword (Izayoi’s theme) takes an upbeat, power metal-style approach with a lyrical, singable melody in the verse and chorus. “Black aggression” (Kagura Mutsuki’s theme) is one of the least heavy metal tracks so far (though it gets there eventually), and “Science Fiction” (Kokonoe’s theme) continues the trend (and rounds out the originals) via sparse piano over satisfying synth bass and syncopated rhythms. Track 9 on Disc 2 brings us into the combination and VS themes, most of which should be familiar to veterans from earlier soundtracks as well. 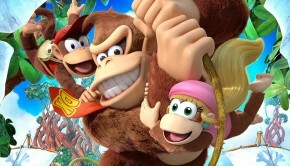 Here, tracks like “Under Heaven Destruction II,” “Imperial Code II,” and “White Requiem II” reprise the VS themes from the earlier version of the game while adding similar rearrangement styles employed on the other tracks, notably additional guitar fills and slightly more exploratory introductions and reprise sections. “Childish Killer II,” track 14, stands out as an arrangement primarily by featuring vocalist Mary Dale Sanchez, making it one of the only tracks to feature lyrics/locals on the only album. The vocals are mixed fairly into the middle of the track, but the harmonic modulations make for an interesting departure from the norm here at least. Disc 3 features a few more VS themes, but is mostly more generic themes for Mirror matches, the Victory Screen, and the Title Screen. None of these are major departures from the compositional style or instrumentation. The biggest standout here is definitely “Drive Qualia,” which is the Story Mode’s ending theme and features vocals by Megu Sakuragawa, and has a much gentler, more balladic feel than most of the other full-length tracks on the album. My only complaint is one that applies to many of Ishiwatari’s soundtracks: it gets a little samey. This is compounded by the length of the OST itself. By the end of disc 2, my ability to remember and recall whose themes and motifs had stood out to me was compounded by the length and scope of the album. It’s a classic matter of quality versus quantity. In fact, this album would benefit severely from a “selections from” album, and I can imagine even staunch fans will be making playlists of their favorite tracks to get right to the meat of the music without quite as much skipping around. Standing by itself, the bloat here slightly outshines the musical creativity on the part of the arrangers, but overall it’s a problem not new to ChronoPhantasma and the blame cannot be heaped on this OST on its own. And if you’re hungry for Ishiwatari’s brand of neoclassical heavy metal and yearning, emotive character themes, it will definitely whet your appetite. Posted on March 24, 2017 by Lee Neikirk. Last modified on March 24, 2017.